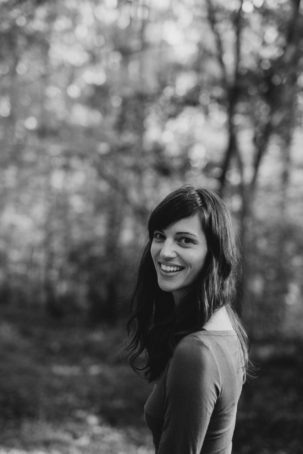 Rachel is a Yoga Therapist based in Cary, North Carolina. After receiving her basic yoga teacher credential in 2011, she trained extensively with Susi Hately out of Calgary, a master therapeutic yoga teacher. In the summer of 2018, she completed a two year 1000+ hour advanced therapeutics program. Rachel’s work in Pure Resilience Yoga (PRY) lies in three primary areas. She works privately with people in pain, she runs a teacher training program, and she is a writer and sharer of her constantly evolving (many times hard) truth. Outside of PRY, she is wife to incredible husband Greg and mother to three young children, John (8), Ruthie (5), and Nora (3). She sometimes dances and sometimes stumbles between time hanging out in the roles of teacher, mother, wife, daughter, sister, friend, colleague and so much more. Rachel specializes in working one-on-one with people in chronic and acute pain and those who think they cannot do yoga. She has a special space in her heart for yogis who have become disenchanted with their longtime yoga practice. Rachel marries movement education with the skill of awareness to nurture a new way of approaching the body, mind and spirit. Rachel sees the individual and the uniquely beautiful blueprint that each person has when they walk into her room to support and guide their own healing process. As a team, Rachel and her clients explore how more ease and less strain is always possible. Rachel also leads a 200 hour Yoga Teacher Training under her school, Pure Resilience Yoga. This 12 month small and selective program is unique for its student to teacher ratio, its deep self-study focus, and its root in understanding the biomechanical actions that combine to create asana (yoga poses). *Rachel bases her therapeutic yoga applications solely upon her training under Susi Hately of the International Association of Yoga Therapists (IAYT) and not as a result of her Yoga Alliance Registered Yoga Teacher (RYT) certificate.